It’s already time to plan those fun graduation parties & celebrate the grad in your life’s big accomplishment! It could be college, high school or even kindergarten-and it’s worth the extra planning to make it super fun. 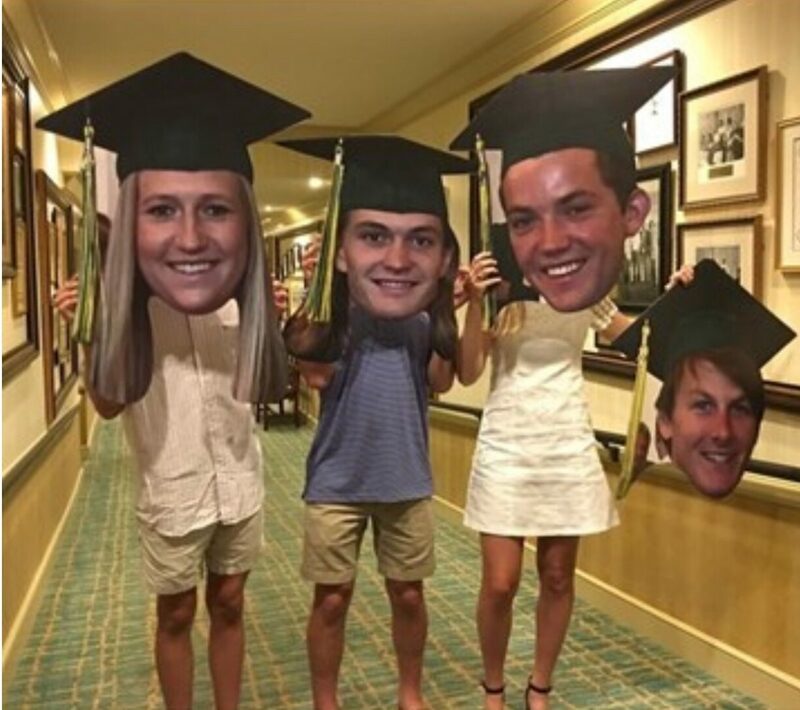 Check out these crazy great products that I’ve used to make everyone smile at graduation. They are so much fun! I even have some new variations that I know will be great. 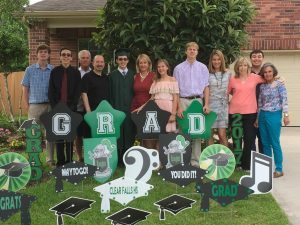 Of course, I’ll show you some of our favorite graduation yard decor rentals from previous years so you can choose how to fully decorate the lawn also! I just love these fun, oversized photos mounted on sturdy cardboard (not great in the rain). They come in 3 sizes: 24″ – 36″ & even 44″ tall! The most popular is the 36 inch. There’s a small version I used last year for my kid’s graduation, and it’s a fan face. It’s 11″ and when assembled (trust me, it’s as easy as using the adhesive & sticking a giant popsicle stick onto the back of the face), making it a fan. Usually, it’s crazy hot at graduation, so it’s nice to have a fan. 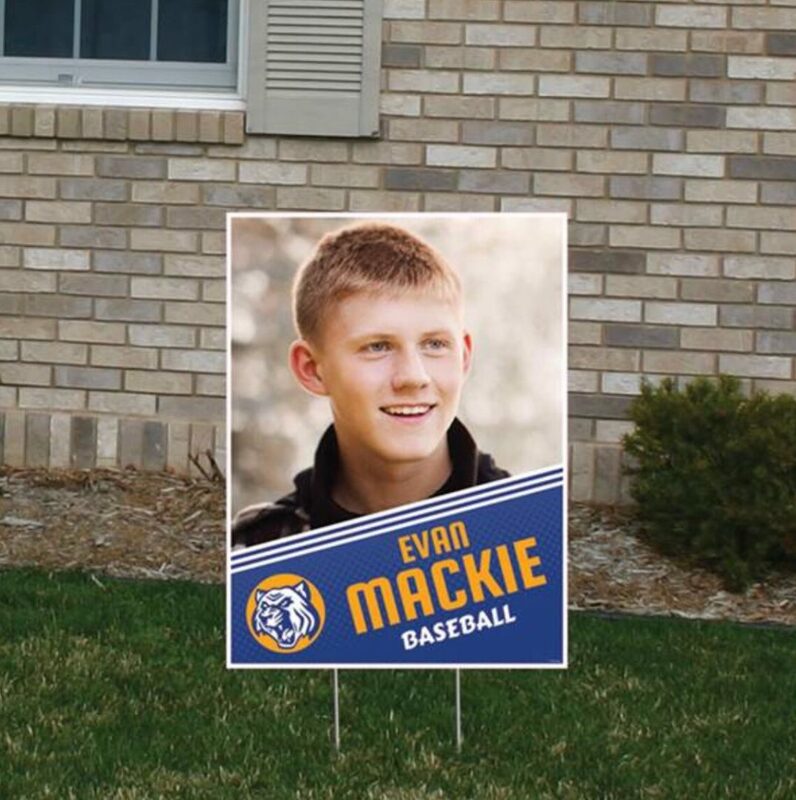 24″ tall x 18″ wide, full color, made from outdoor/waterproof materials. I love these so much! You can do just a single sign, or you could even do one for each grade-or college years. Imagine 13 of them out for a high school grad! Naturally, I customize the colors. 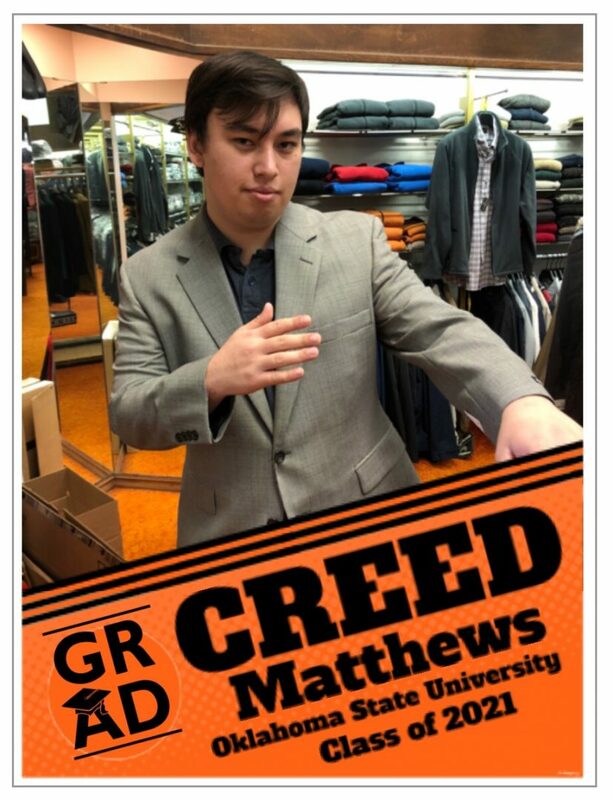 My nephew Creed started OSU in the fall, so I thought this would be a good one to play with & design. On the left, there’s a “GRAD” design, but that can be changed out to many different things. 24″ tall x 6″ wide-so it is tall & skinny. 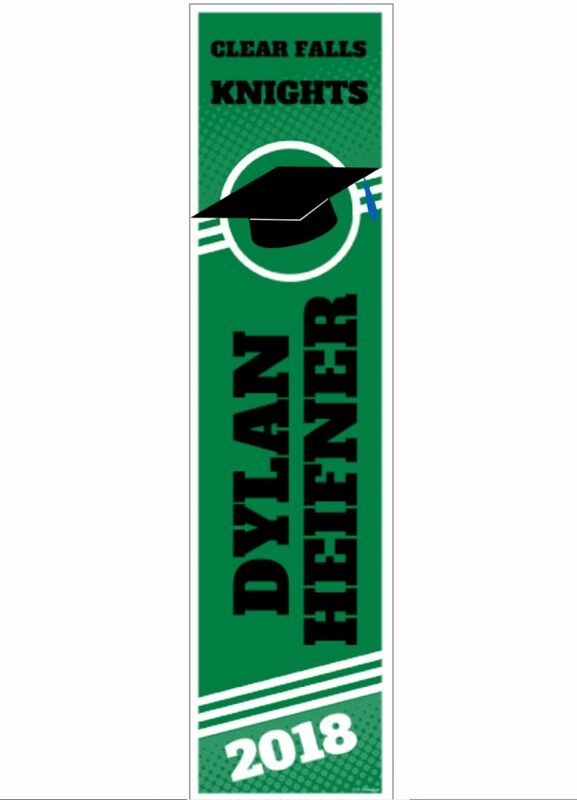 Customizable colors, name, year, school-and there’s different graphics if you want something besides the grad cap. I like the clean lines on this a lot! 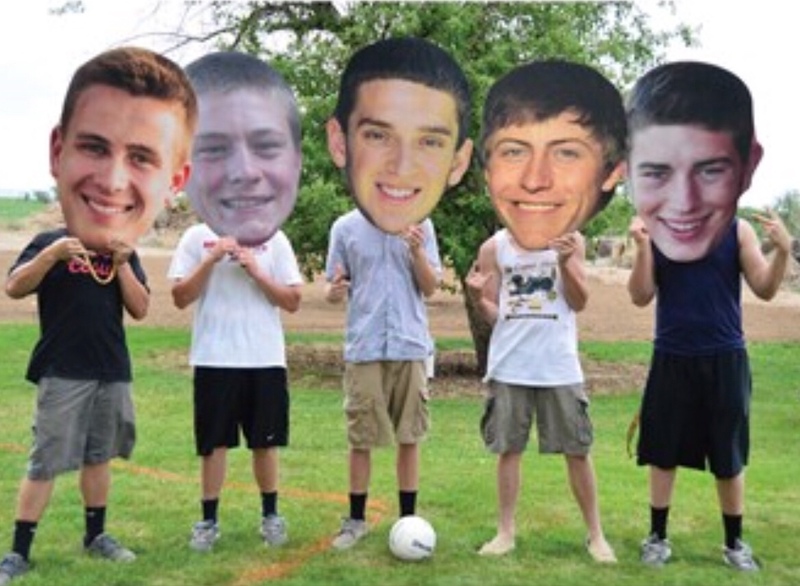 Interested in ordering a Custom Big Head Photo or Custom Graduation Yard Sign? Awesome! Please order early. Once May gets here, we will be swamped, and it does take approximately 3 weeks to receive once you place your order. Photo quality: Please send super high resolution images already cropped to the close-up you desire. I’ve got a bunch more graduation decor, banners, custom plates, favors, other grad supplies & gift ideas, so stay tuned! Better yet, subscribe to our newsletter & we’ll notify you when we post the other great graduation planning ideas. Click here to subscribe. I promise-we don’t email very often, and you can UNsubscribe anytime if you decide you don’t want to receive it any longer. If you are looking for something specific, let us know & we will help you to find it or even make it! Just fill out our little form on the Contact Us page!